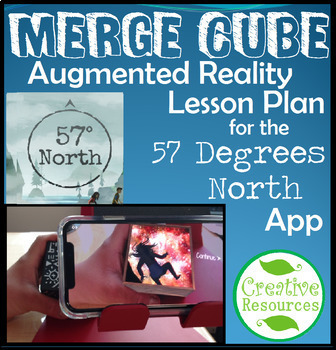 Plunge into adventure with the Merge Cube and 57 Degree North app! Your students make choices that change the ending of the story, just like the “Choose Your Own Adventure” books we used to read as kids. This project is an AMAZING cooperative learning activity when done as a whole class or group. ****PLEASE READ a summary of the story included in the preview above to determine whether this is an appropriate app for your students! **** Although it is a lot of fun, one of the main characters DOES NOT make it off the island in many endings. Please see if this is appropriate for your age group or not. 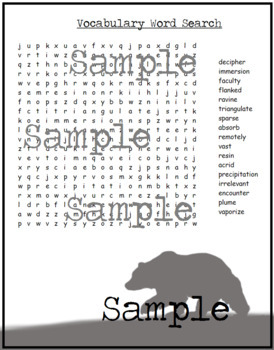 You can print this unit as a packet that the students work through, or print worksheets individually. 5 Vocabulary Sections: This unit is meant to help enrich the 57 North story, and is intended to be stretched out over 5 days. There are 5 chapters to the 57 North story, so you can do one chapter of the story each day, then use the vocabulary worksheets included to learn new vocabulary words used in each chapter (57 North has some very rich vocabulary words to choose from!). Vocab Word Glossary: My students seem to struggle at times when they have to find words in a dictionary, so this vocab word glossary is a good practice for basic dictionary use. To complete the vocabulary sections listed above, students will have to find the word in the glossary. You can choose whether to have them search in an actual dictionary, or use the included glossary if you are moderating the amount of time spent on this activity. 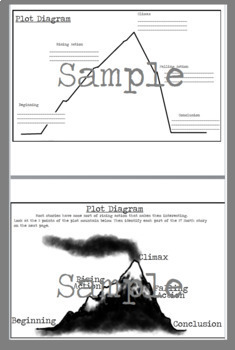 Plot Diagrams: This story has some great rising action, so I have included a Plot Diagram “Story Mountain” with the 5 points of the plot shown, plus a blank page for your students to fill in each part of the plot from their 57 North experience. Since everyone in the class will have a different experience if you do this in groups, this is a great conversation point to compare what choices impacted the story as they proceeded. Word Search: For those students who finish early and need to be kept focused, or as additional homework to complete at home. Reflection Pages: There are two pages of reflection questions for students to think about how their choices impacted the final outcome of the story. 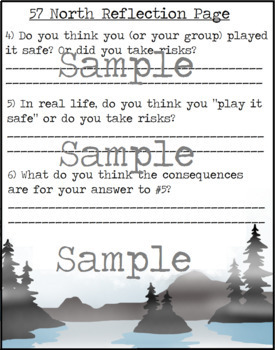 There are also questions that ask the students to reflect how the choices in their own lives have consequences. As I am a high school special education teacher who works with students with severe behavioral challenges, this is a non-confrontational way for them to be reflective on how our behaviors have consequences. There is also one reflection page where the students are asked to create their own ideas for a new “Choose your own adventure” story. I’ve included my own illustrations to keep the “feel” of the artwork of the app, and all artwork is copyrighted by Jessi Klancke.